Police have arrested a 47-year-old man in connection with two robberies. A 47-year-old man has been arrested and charged in connection with two robberies, including one in the Southside. 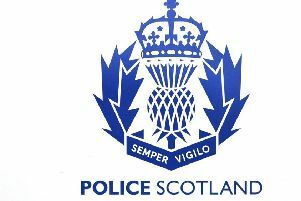 Around 1.20 pm on Monday, February 5, this year, a 78-year-old woman was in the grounds of the Victoria Infirmary, near to the bus stop at Queens Park/Langside Road, when a man tried to grab her handbag from her. The second incident took place at around 5.05 pm on Monday, June 4, when a man entered B&M Bargains on Bardowie Street, Glasgow, and threatened staff before making off with cash. The 47-year-old man is due to appear at Glasgow Sheriff Court tomorrow (Friday, June 15).